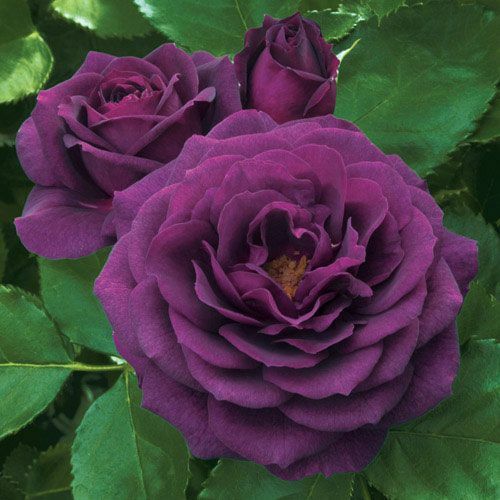 Reign over your garden with a luscious plot of royal purple Ebb Tide Floribunda Roses. 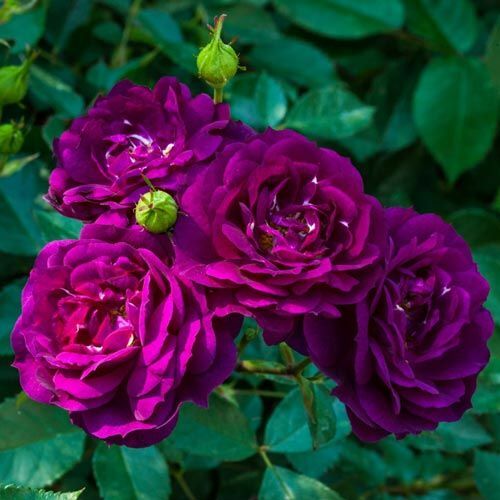 Dark purple buds blossom in the late spring to early autumn, revealing a wealth of velvety double-blooms of purple petals offset by glossy green foliage. An eye-catcher in any landscape, Ebb Tide purple roses will also grab your attention with their deliciously spicy clove scent. Ebb Tide Floribunda roses thrive in hardiness zones 4-10 and grow best in well-drained, slightly acidic soil enriched with compost materials. These purple perennials have a medium growth rate and can reach up to four feet in height with a spread of 24 to 36 inches. 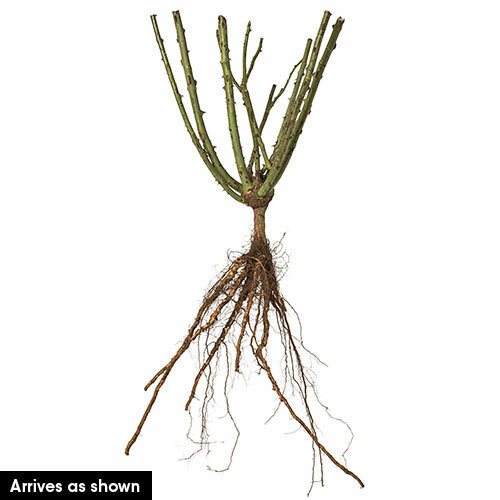 Plant your bareroot so that the crown is soil-level. If planted in full sun, your floribunda roses will grow quickly and robustly. These low maintenance roses don't require much pruning, but take well to shaping. 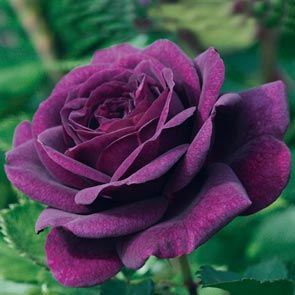 The gorgeous royal plum of the Ebb Tide floribunda rose adds a stately appeal to a garden, patio or doorstep. Create a low hedge of these sweetly scented beauties to welcome visitors. 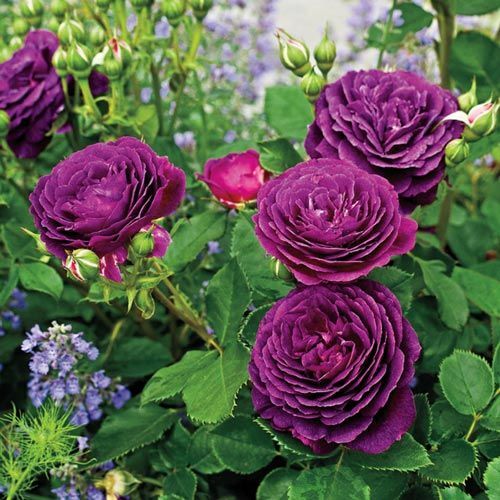 Ebb Tide purple roses give off a delightful clove scent that will infuse a home, so be sure to add this fragrant flower to your cutting garden. Feel like royalty with this elegant addition to your landscape.